Wondering about more comic women for the silver screen? 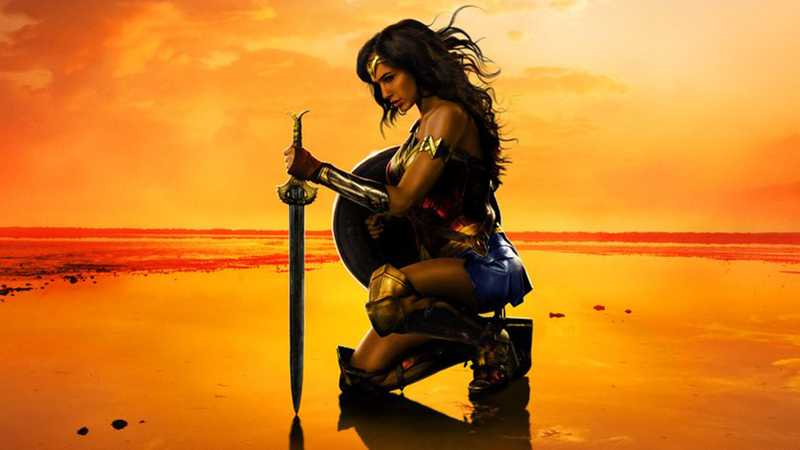 Amazonian Wonder Woman seems to be receiving a warm reception to her arrival on the big screen, which got me “wondering”, apart from Jane, Barbarella and Modesty Blaise, who else should be the golden girls of the silver screen. embroiled in the war. A movie trilogy? A tv show? The storyboards are there in three volumes. Publisher Rebellion have recently issued The Complete Halo Jones. Fancy a little swashbuckling adventure with a Fifties feel? Look no further than Kitty Hawke And Her All-Girl Air Crew. Artist Ray Bailey drew the sky-soaring exploits of Kitty with her crew, Winifred ‘Windfall’ White, Radio Officer Jean Stuart and Navigator Patricia D’Arcy, determined to convince her airline-owning father that girls were just as good as the boys. Agent Carter would approve. Actually there were loads of tears in this popular strip from IPC’s Tammy. Written by Maureen Spurgeon (who I wouldn’t be surprised to discover was Pat Mills in drag) and dawn by Tony Thwenetti, No Tears For Molly started in 1971 and continued into the Eighties. Surprisingly it predates Upstairs Downstairs by about six months, but if you want a replacement for Downton Abbey this is it. Set in 1926, Molly Mills travels from London’s Eastend to take up a maidservant post at the Devonshire home of Lord and Lady Stanton. On arrival, she inadvertently makes an enemy of the cruel butler Pickering and from then on endures all manner of hardship in her struggles to keep her job and send enough money home to her large family. At all times Molly maintains honesty and integrity, although in addition to Pickering’s scheming, jealous maids Betty and Kitty try to humiliate her at every turn. Help and consolation are at hand though from her friends the Cook and Charlie the boot-boy, as well as Claire, the wheelchairbound daughter of Lord and Lady Stanton. No Tears for Molly was later renamed Molly Mills. It also spawned a novel by June Vincent. A touch of the supernatural here, with the Truth About Valda which kicked off in DC Thomson’s Mandy in 1968. A mash up of H Rider Haggard, The Man Called Wilson and a few other things, the eternally youthful Valda emerges from the ether to right wrongs and win sporting events such as skating and tennis. Sometimes simultaneously. She periodically needs to bathe in the mysterious blue fire of life in her mountain home and can also bestow new vitality on others via mystic crystals. A 2002 version gave Valda a make-over along the lines of a Paul Dini DC animation. There are assorted comic cat girls to choose, an interesting mix of options, but this one is nice and self-contained as evidenced by this Lucky Charm reprint. In the Seventies, Bunty had Catch The Cat! following Marie Bonnet who dons a superhero costume and suction pads to further the resistance against Nazi forces occupying France. She is great at sabotaging evil schemes and helping the Allied Forces. It was drawn by Hugh Thornton-Jones. So, am I forgetting anyone else? Brenda Starr? Pansy Potter? Minnie the Minx? Beryl the Peril? Keyhole Kate? Motormouth? Any comic lassies you feel should be in the movies?